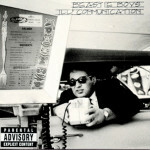 As we approach the 20th anniversary of the Beastie Boys fourth album “Ill Communication,” I was motivated to share my thoughts on white rappers’ contribution to furthering hip-hop’s progress and boundaries. While being white in a predominantly African American dominated field may be viewed as a novelty and can contribute to positive record sells (see Eminem), being Caucasian in hip-hop will almost certainly cause negative reluctance of acceptance from their peers. Robert Van Winkle emerged from south Florida via Dallas, TX with the very first rap song to climb to the top of the Billboard charts. 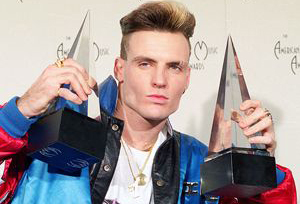 You know this man as Vanilla Ice and his single “Ice Ice Baby,” fueled by a super familiar sample from Queen and David Bowie, ripped through the airwaves liked wild fire. Unlike his white rapping predecessors, Ice adopted a hybrid style that combined two of 1990’s hip-hop’s most prevalent themes: the tough guy image from the inner city (see Ice Cube) and the incendiary dance move master (see MC Hammer). It worked, albeit briefly. Once Mr. Winkle opened his mouth in interviews, the proverbial “jig” was up. He was quickly exposed as a fraud as conflicting background stories arose, and that was that. Still, his “Ice Ice Baby” remains popular today some 20 plus years after its release. The 90’s saw better overall acceptance for the white emcee as the Beastie Boys and 3rd Bass continued to churn out quality product. Even Everlast saw his fortunes turn for the better founding the trio House Of Pain, an Irish alternative to Cypress Hill with a similar sound. The Pain’s first 2 albums were two of my faves in the early 90’s to be candid. The late 90’s saw the emergence of Detroit emcee Eminem, who would eventually become even more popular than any white rapper before him. 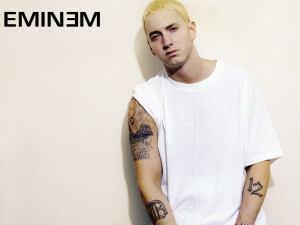 He’s the biggest selling artist of the 2000 decade and his skill set is as high of any emcee the genre has ever seen. The man has even won a frickn’ OSCAR! Now that’s juice. I’ve only mentioned a few in this piece of many Caucasian emcees who have contributed to the culture of hip-hop. There are many, many others. Fast forward to now: Macklemore, Action Bronson and Mac Miller all have received both critical and industry acclaim. Open your lid to some of the albums and songs listed below. You’ll be pleasantly surprised. The views represented by bloggers on this site do not necessarily represent the views of Hip-Hop 101, its management, employees, advertisers or any associated parties.